A combination of trip reports and photography, this blog is about my hikes, bike rides and other outdoor trips. I like to go to places where few people go. This is the last of the three articles I wrote for the website Trazzler which is no longer. It's not a ride or hike, just a stop we made on a rest day between climbing 14ers. Photos are from a trip in 2009For most, the town of Ridgeway is where your turn to go to Telluride or go straight to Ouray. 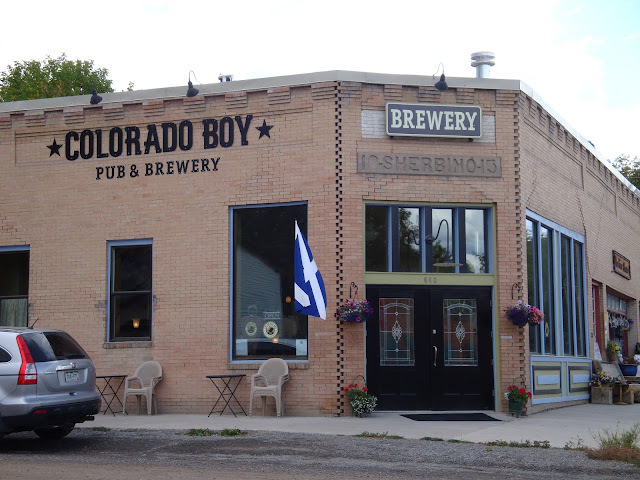 Just off the main road, there’s the Colorado Boy Pub & Brewery. I had pints of the Stout and the IPA, and tasters of the rest. The stout and IPA were excellent. The Irish Red Ale was better than average. The Blonde Ale and Best Bitter were ok, but I wouldn’t get a pint of them. The food selection is simple, four different Paninis with chips, about $7 each. They also have free popcorn to go with the beer. The pints were $3.75 ($4.25 for the IPA) and tasters are about a dollar. They also had mini etch-a-sketches on all the tables. It's a small place, with only 5 tables and small bar, but has a great pub atmosphere. These pics are from a hike near Aspen, CO, in a valley next to the Maroon Bells. This area is so popular that everyone has to take a shuttle bus in the area during summer days. If you go really early or in the evening the road is open to cars. We hiked up the valley along West Maroon Peak past two alpine lakes. It's a very scenic area. These pics are from late June, the beginning of wildflower season in the Colorado mountains. 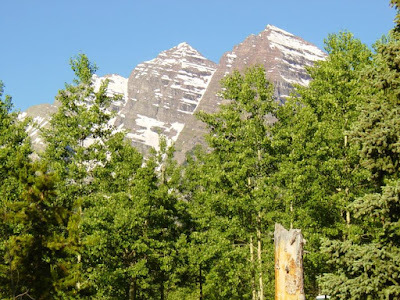 We could see Maroon Peak (a 14er) and North Maroon Peak from our campsite. On the hike up to the lakes, we past be a waterfall. And there were flowers starting to come out. Welcome to my new blog. I will be posting pictures of my trips. Each posting will be about a trip and include a trip report along with the pictures. Many of the pictures will be of mountains and places where most people never go. I plan to create a new post every week. Some posts will be of recent trips, some will be of trips from years ago. 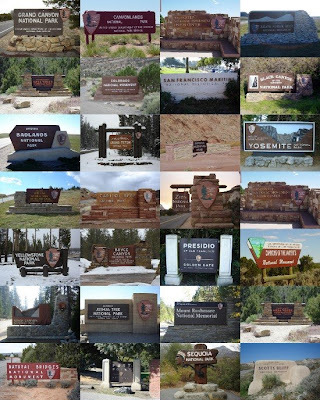 This collage is of the signs of national parks that I've been to. Most are in Colorado, California and Utah. I'm a mountain biking, snowboarding and skiing coach in Park City, Utah. I like to explore the outdoors and get off the beaten track. This blog is a combination of trip reports and photography from my outdoor adventures. The adventures include hiking, biking or kayaking with the occasional visit to a small brewery or winery. You can support this blog through Patreon or by signing up for a Bluehost account.